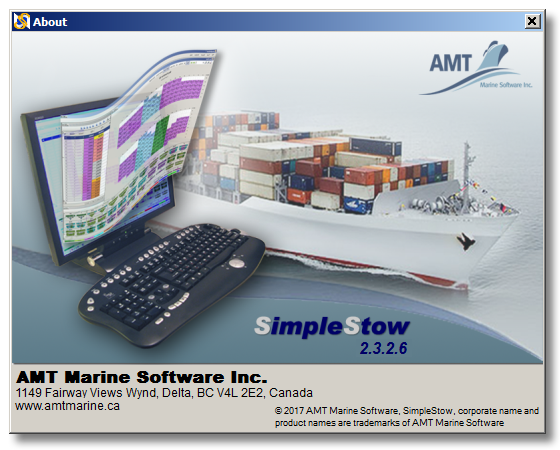 The first version of SimpleStow container stowage planning software is released! Our new site is currently under development. An updated SimpleStow v.2.3.2 is available for download for registered users. Added function to import and export COPRAR messages. Addition of this EDI format to the previously developed BAPLIE, MOVINS and VERMAS, makes complete the list of UN EDIFACT messages for ship planning, supported by SimpleStow. Synchronization of cargo characteristics. SimpleStow uses Equipment ID and Booking / Bill of Lading numbers to recognize containers in the working Cargo List and in the stowage plan. When importing an updated Cargo List from any supported format EDI message, SimpleStow identifies containers by these numbers and updates their characteristics instead of upending duplicate entries in the program. If a container is already placed in the bay plan, the program updates its characteristics directly in the plan. We invite our existing and new customers to download and try new version of SimpleStow. You can find more information on the software visiting SimpleStow Overview page.